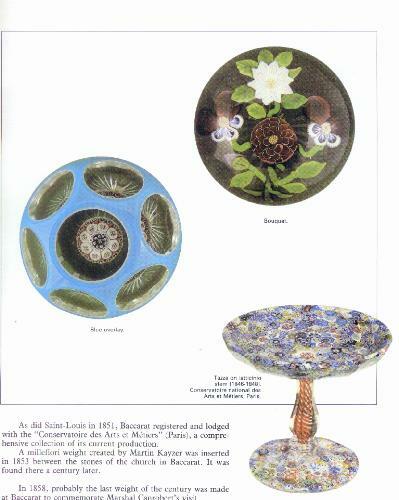 This book by two of the the greatest specialists in glass paperweights describes the full range of fine vintage and contemporary paperweights. 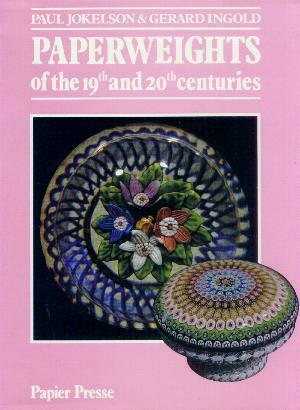 It presents 284 outstanding examples in an exploration of the history and manufacture of paperweights. It also includes information on the makers. Paul Jokelson is the founder of the Paperweight Collectors' Association. He has owned many of the world's rarest paperweights and is often referred to as the "King of Paperweights." He is also the author of a number of other books on glass paperweights. Gerard Ingold was for over 30 years the Director of the Saint-Louis Crystal Company and was responsible for the rebirth of paperweight manufacture at that company in the 1950s. He is an illustrious collector on his own right and has been called "The Paperweight Man." 144 pages with many color photographs. Hard bound. 9 1/4" by 11 1/2". 1989.